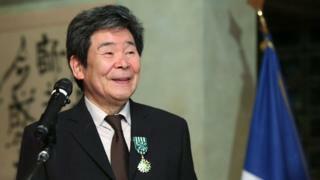 Mr Takahata started his career in animation in 1959 at Japan's Toei studio, where he met Mr Miyazaki, who is usually seen as the face of Studio Ghibli. The duo went on to co-found Studio Ghibli, and were described by local media as both friends and rivals. Mr Takahata's film The Tale of the Princess Kaguya earned him an Academy Award nomination in 2015 for best animated feature. But his most loved work was the 1988 film Grave of the Fireflies, a heartbreaking tale of two orphans during World War Two. Filmmakers and animators have been paying tribute to him on social media. Are 'quokka selfies' cause for concern?